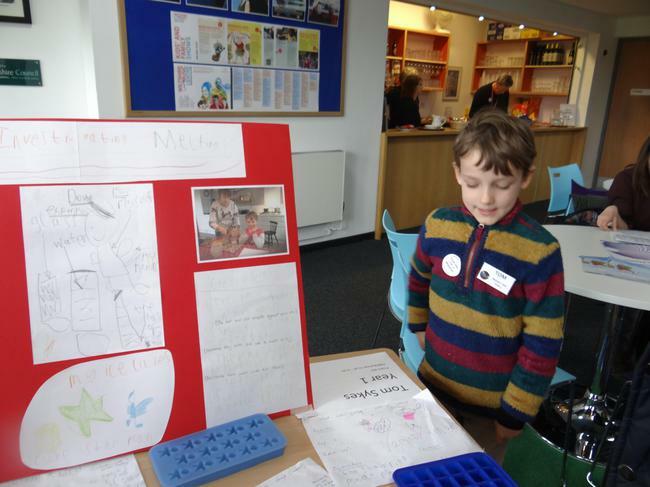 On 6th March 2016 it was the 5th annual My Science Fair at the Wiltshire Music Festival. This is a unique science project competition which gives the chance for children to have fun whilst doing a real scientific investigation exploring the world around them, supported by their families. 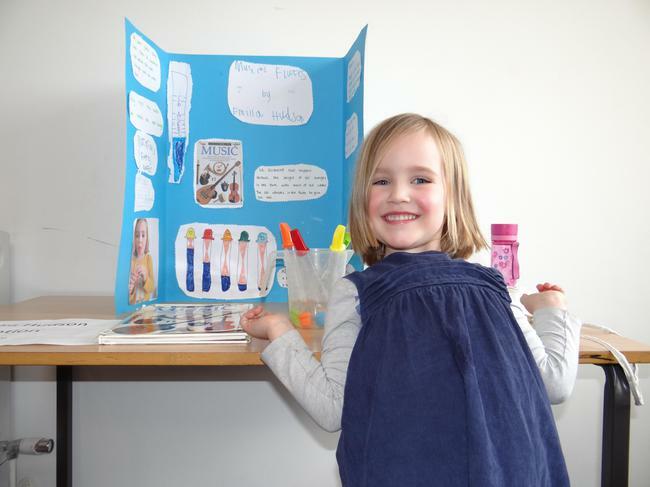 The children have the freedom to choose a topic that intrigues them and interests them. Each child has a couple of months to do their experiments and observations, and to prepare a poster display to share their conclusions. The children’s project displays are well showcased at the My Science Fair Event. Judges talk to the children about their projects and award prizes for each age category. This year four of our children participated in the event. Emilia in Reception explored musical flutes and how they make different sounds. Tom in Year 1 investigated melting and won the Year 1 prize. Martha in Year 2 experimented to find out why water moves when you get in the bath. Tolek in Year 2 continued an investigation he began last year when he discovered how music boxes work by investigating how a record player works. We are very proud of all of the children who then shared their projects with the whole school. · States of matter a chemistry demonstration with dry ice and liquid nitrogen. · An instrument workshop with the London Sinfonietta making their very own ‘Sudophone’ a musical instrument and then playing in the London Sinfonietta’s concert. · Amazing Camera Obscura Robotics exploring the worlds of electronics and computer programming to learn how robots work. · 3D printing with the University of Bath to explore the latest technology in 3D printing. · Prisms and Perception with the University of Bristol to try out mind-bending optical demonstrations.